How To Increase Your Website Speed With CDN77? It’s been almost 6 years I started blogging on Crunchify.com. My journey starts long back in 2008 where I started exploring WordPress Plugins and started my interest in quality blogging. There are so many, I would say Millions of blogs out there but blogging about something you love and quality contents which helps others are the key to success. That’s call Niche Blogging. Only quality contents may not be adequate but also the infrastructure on which your site runs. There are so many considerations you should do in order for you to run your own site. As you may have noticed, Crunchify’s all pages loads in less than half a seconds as we have applied all above tips. 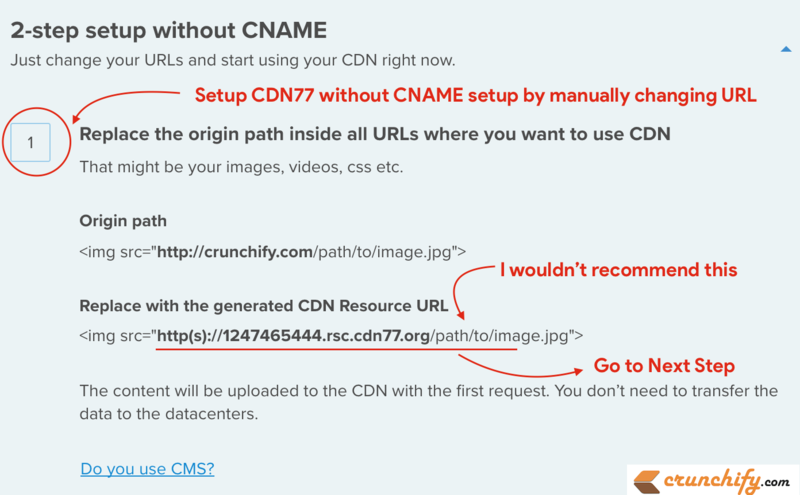 In this tutorial we will go over point 6 – CDN’s benefits and why CDN77 is one of the best Content Delivery Provider out there. I came across CDN77 last month and started exploring since then. 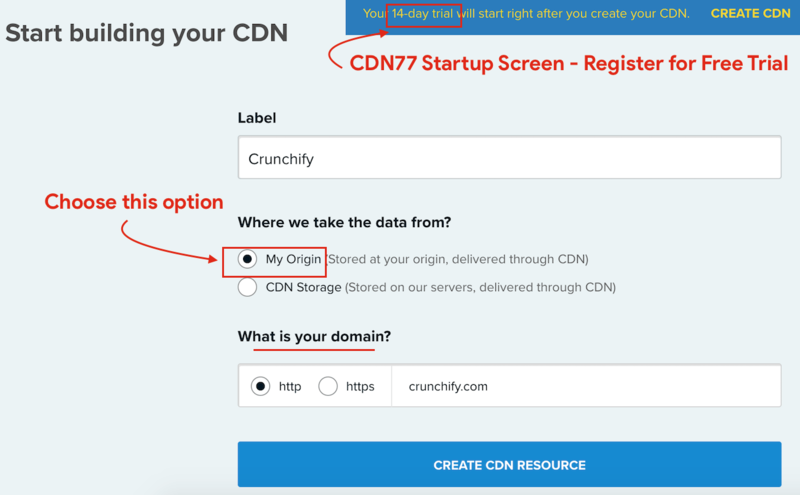 Here are the key benefits of CDN77. CDN77 is one of the biggest competition of MaxCDN. Click on Sign Up button on top right. Sign Up for 14 days free trial. There is no Credit Card Required. 99% of the cases, you don't need CDN Storage. It will basically stores your WordPress site content on to their server. Next step is to Setup CDN for your site. First option is to change URL without CNAME setup. I would suggest not to use this option. Please go to next option. 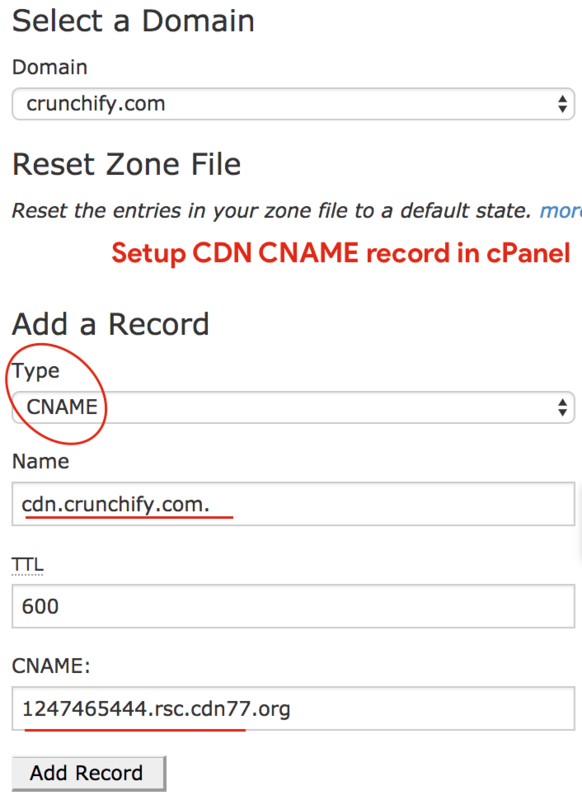 Here you need to setup your CNAME first. You just need one CNAME. 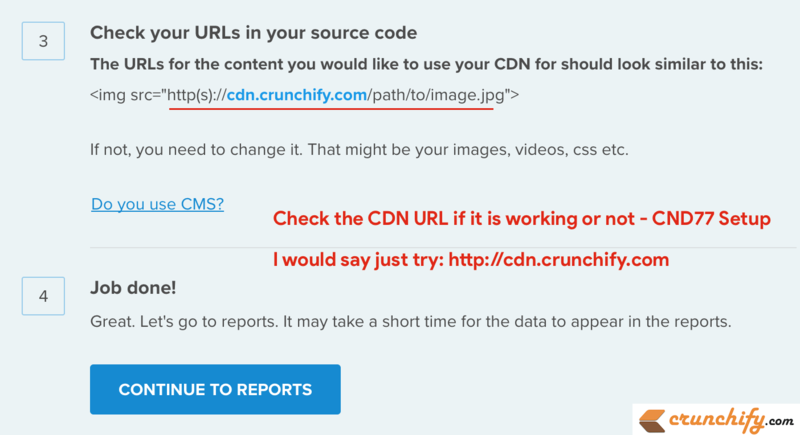 Provide it as cdn.crunchify.com. Click on Go back to Integration link. You will be able to see below settings now. Make sure your CNAME (AKA ALIAS) is correct. Thanks for sharing this valuable blog. Page speed optimization plays an important part in the ranking and conversions. 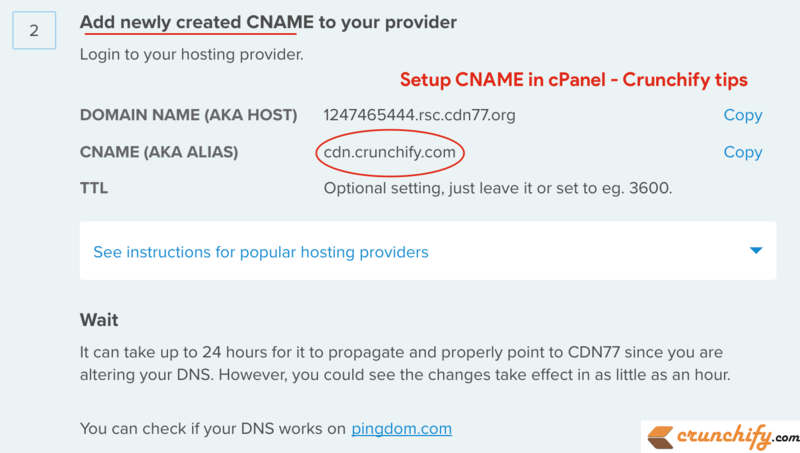 There are new tips in your blog that I was not aware of for choosing CDN service. thanks for this info.